I just got a phone call from a friend who was upset to the verge of tears. She’d had Child Protective Services called on her by the daycare that she’s used for more than three years for her first child, and most recently for her six week old baby. Why did they call CPS? Because they mistook the Mongolian spots on her baby’s back for bruises. I’m not expecting everyone who reads this to know what Mongolian spots are, so here’s a quick explanation. 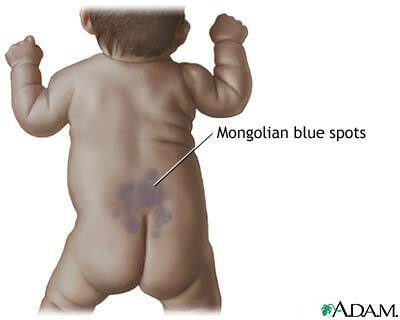 They are birthmarks that occur on almost every baby of East Asian decent and are common in other races as well. They look a lot like bruises, as the photo above demonstrates. (More on Mongolian spots at Wikipedia). But Mongolian spots aren’t bruises. And while I’m pretty sure that the average person who hasn’t seen them before doesn’t know what they are, I would definitely expect the director of a child care facility to know exactly what they are, especially when this facility exists in a THE family fitness center (you can probably guess the one) that presumably services a variety of members from different ethnic backgrounds. How embarrassing for her, not only to have CPS called on her because of someone else’s inexcusable ignorance at their job, but also because she is an instructor at this facility and was leaving her children with her co-workers while she taught her class. I’ve pretty much stopped watching wrasslin’, mostly due to the great Hornswaggle debacle of 2007. But I tuned in tonight to find out what happened at Wrestlemania. I was surprised to find out that Ric Flair was retiring. Just an angle? I thought so, but now I don’t. At the end of the show, Flair gave his retirement speech, which was basically a thank you to the fans. Then HHH came out and thanked Flair and introduced a bunch of other guys who wanted to say thanks as well–guys I haven’t seen in a long time–The Four Horsemen, including Arn Anderson, JJ Dillon, Dean Milenko, Tully Blanchard, and Barry Windham. Lots of other old school wrestlers too–Ricky Steamboat, Greg Valentine, and Harley Race. Then some prominent guys who are currently wrestling and are close to Flair personally came out, then the whole cast came out. Flair was crying, and everyone in the arena was chanting, “Thank you Ric!” A very nice way to pay tribute to a guy who IS professional wrestling, at least to people of my generation. By the way, noticeably absent? Vincent K. McMahon. In the video, Paul did not use the words “drop out,” opting instead to say the campaign is “winding down,” and he encourages supporters to still cast votes for him. But he referred to his campaign in the past tense. I know I can spin this in a pro-Paul way. Â Hang on–let me think of something. Â Okay…I’ve got it. Â This was a brilliant move on his part! 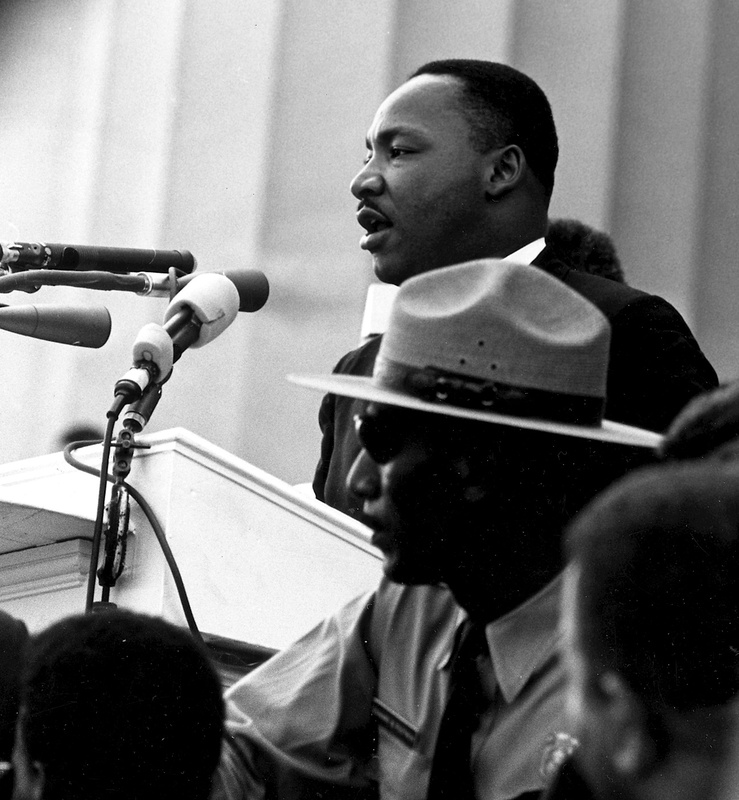 Â It would have been foolish to drop out of the race while anyone on earth was paying attention. Lot’s of folks around the office are talking about the primaries today.Â It’s strange to me that so many people don’t pay attention until the day of. I feel like I’m about to get a poll stuck in my head–more like a javelin. I’m sure the folks at TennesseeFree are going to be hitting it from all sides, but for now are at least having a little fun with John McCain. The Liberty Papers have a few predictions.Â I predict we’re about to loseÂ some money or some freedom, and more than likely some of both. Knoxviews has a roundup of local races, andÂ Brendan Loy wonders if the circus situation in Knox County may help Obama’s cause in Tennessee. And finally, in an oldy but goody, Fail Blog keeps everything in perspective. Justin at Donklephant criticizes him for staying in the Republican race, but I don’t think he sees the full picture. But no, keep chasing a GOP nomination that you have no hopes of winning. Throw good money at a losing cause. Good luck with that. Additionally, staying in gives him the opportunity to continue to raise money.Â If he “quits”, he risks losing the interest of his supporters.Â And it doesn’t seem like to me he’s spending much money to begin with.Â It looks to me like he’s building up a war chest for his “real” run. As far as keeping his Congressional seat goes, I’d guess (hope) his motivation in running 3rd party would be to continue to build the movement he’s started and keep getting his ideas out there.Â He can’t believe at this point that he could win, but he could stir the pot enough to get likeminded people elected to Congress in the next cycle.Â That would be better than tucking tail and going back to his one seat, right?.Â Besides, who’s to say he’d lose his seat by leaving the Republican Party anyway? I think we’re going to find out post-convention if Ron Paul is about promoting himself or promoting his ideas.Â If he doesn’t run third party, potentially sacrificing his Congressional seat for the ideas he promotes, he will have pulled off a political charade that would make Clay Davis proud. Newscoma has an interesting post this morning about the three big stories yesterday–the economy, Thompson exiting the Presidential race, andÂ Heath Ledger’s death–and how they were covered by the media. In rooting around the Internet yesterday, as I was a blogging fool for about five different websites, the most response I saw about all of the three stories was about the death of the young actor. I have to agree that just about anything trumps Fred Thompson’s exit.Â Unless you are a Tennessean, you probably didn’t even notice he was running, but I did go so far as to give it a tweet. The economy?Â I think that’s a huge story that warrants daily discussion and debate.Â But it seems like unless the stock market goes up or down 5% in one day, or is at least projected to do so,Â no one seems to care. But why?Â Why is it that the death of an actor is able to top just about any other story with such ease?Â Why isÂ so easy for us to obsessÂ with the life of celebrities and so hard for us to concern ourselves with things that affect our own lives?Â Â Why? I’m not casting stones here–I do it too. I had a boss once tell me in news that there are always three big stories. 1.) Kids, 2.) personal issues with money and 3.) the unknown/death. I think that’s probably true.Â But has it always been this way?Â During the American Revolution, Civil War, and The Great Depression was this true? The solution, it seems, is obvious. Get government out of the eduction business, let parents choose where they send their children to school. And stop this insane practice of turning teachers and school nurses into replacements for a Mom and a Dad. I wish there was something I could add. I’ve run this race twice, so I can speak with a little experience. Most of what happens in a marathon is up to the runners themselves. Too hot? Didn’t you train for 18-20 weeks for this race during the hottest months of the summer? If so, you should know your limitations in the heat, and if you push yourself beyond that, you are the one who made that decision. If you didn’t train in the heat, what were you doing the past five months that made you think you were prepared for a marathon? Not enough water? That is definitely a problem with race organization, but again you should have trained enough to know that you can’t push yourself without hydration. I’m not sure what I would have done in that situation, but I hope it would involve slowing my pace or dropping out during the race and raising all kinds of hell afterwards. Can you say refund? Don’t get me wrong, it is completely ridiculous to have water shortages for a race this size, and I’d be pretty upset about that if I’d paid the hefty fee to run this race, especially based on its reputation. But ultimately, you are responsible for your own health. A San Antonio man feels he’s been discriminated against because an apartment complex didn’t want to rent to him based on the fact that he has lots of tattoos. I have to side with the apartment complex on this one. Dude, you CHOSE to get ink up and down your arm. That was a market decision. If you don’t like it, go buy your own apartment building and require all applicants to have a sleeve of tattoos before you’ll rent to them. Think that will work? Probably not–the market won’t support it. If they were denying people based on the fact that they have large birthmarks it would be different, but c’mon. The Carrillos were also upset that the manager refused to refund their full $70 application fee. But mostly, they feel the policy is discriminatory. So give them their money back and let them dry their tears with the check.